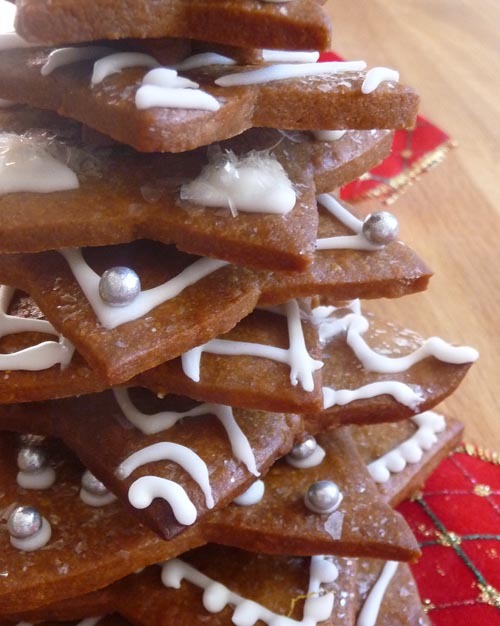 I rarely bake, but I tend to have a burst of sugar induced baking energy right before Christmas in the hope that it will incite a bit of festive spirit. Being the misery I am, I need all the help I can get! This one is a bit of a cheat really as it's from a ready-to-use kit. Waitrose kindly sent it to me and unlike the Delia cake kit, this one was a quick bit of fun. Something for the baking novice or the kids to have a go at. 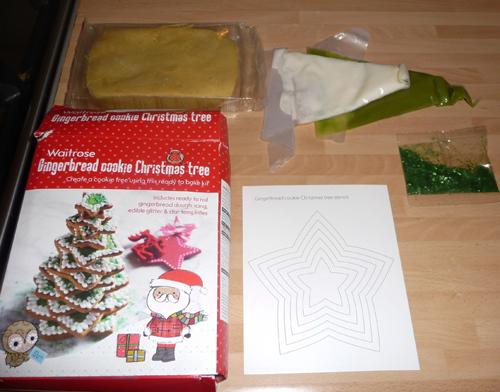 The kit contains ready made dough, ready for rolling, some white and green icing bags, green edible glitter and star templates. The template was paper which you had to cut out and keep trimming in order to get all of the star shapes but at £5 for the kit, you would be expecting too much for actual cutters. I suppose you could copy the template before cutting if you wanted to use it again with your own dough. Bung the shapes in the oven for 15 and after cooling the fun can begin. I tried to go a bit "graphic" and iced a different pattern for each layer, then popped on a little clear glitter and some silver balls for a bit of *sparkle*. 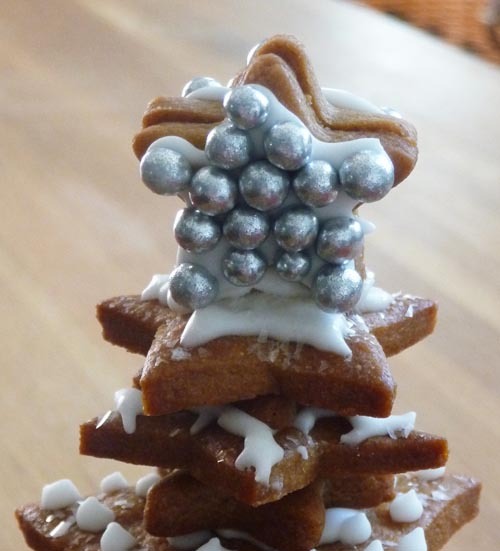 I also added an upright star to the top, as 'tis the season for as much bling as possible. 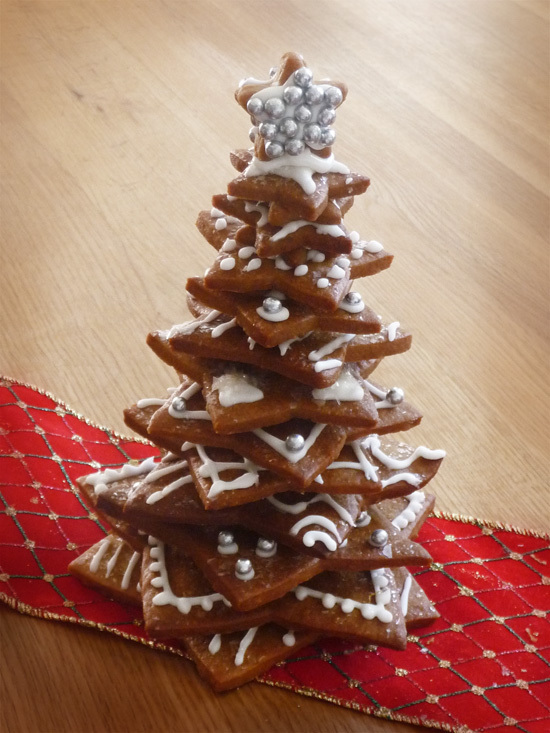 Quite happy with it but as with my baking generally, it looked better in my head! The gingerbread itself was quite tasty, although personally I like more of a burn in my nasal passage with my gingerbread. Still, from packet to belly in about an hour, I think this is a really sweet and simple kit to customise and get creative with. The second part of my Christmas baking includes some equipment that could double up as breast enhancers and quite possibly a long rant about Fiona Cairns recipes. I was sent the kit to review.